The History of Superman on Film – Part III: The First Reboot and the Last Chance | hesaidwhatnow? For The History of Superman on Film – Part I: The Early Years, click here. For The History of Superman on Film – Part II: The Flops and the Wilderness Years, click here. After the dismal failures of Superman III and Superman IV: The Quest For Peace, the franchise had been snuffed out quicker than a Lex Luthor heist. Multiple attempts at resurrecting the character had failed, for a variety of reasons, until the Warner Bros.’ project Superman Returns was green-lit. X-Men and X2 director Bryan Singer had been signed to helm the new movie. The hopes of Superman fans across the globe rested on his shoulders. Would he be able to bear the Superman-esque burden, or fail like his predecessors? With Warner Bros.’ blessing to not only direct Superman Returns, but develop it, Bryan Singer called on some old friends to help him out. Michael Dougherty and Dan Harris wrote X2, and Singer brought them on board to help write the screenplay for this project. Six drafts later (and with references to Superman lamenting his absence from Earth on September 11 removed) Singer had a screenplay he was confident in. During the whole process, there was only one person he had in mind for Lex Luthor – old friend Kevin Spacey, who he directed in The Usual Suspects. Despite Claire Danes and Keri Russell being considered for the role of Lois Lane, Spacey recommended Kate Bosworth, with whom he had worked on Beyond the Sea. Singer took up the recommendation. No matter how the other casting shaped up, the only casting decision anyone cared about was of course that for the titular role. Singer was a fan of Richard Donner’s original Superman, and decided to follow his approach of casting a relative unknown as the Man of Steel. A huge worldwide casting call went out, with auditions taking place in the US, the UK, Canada and Australia. 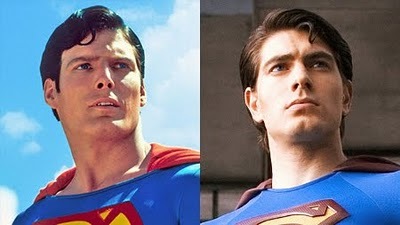 The winning candidate was someone who had not only been on McG’s original radar, but had auditioned for – and missed out on – the role of Clark Kent in the TV series Smallville: Christopher Reeve lookalike Brandon Routh. Things were looking positive for the franchise, possibly for the first time ever. A proven director was taking the helm without any fear for his job or undue studio interference; the studio, in conjunction with Legendary Pictures, had opened the coffers to finance the film; and there weren’t any distractions from the cast, who all wanted to be there and see the film’s success. When the film screened in 2006, it topped the US box office, and broke Warner Bros.’ record for five-day earnings. It appeared that the studio’s optimism was well founded. However despite the early successes, and the generally positive critical reviews, box office receipts declined almost immediately. This was no doubt partly due to other blockbusters that were released, such as Disney’s Pirates of the Caribbean: Dead Man’s Chest, but also due to a lukewarm reception by fans. The film was far from a commercial failure; it grossed over $200 million domestically, and almost as much again worldwide, ranking it the 6th and 9th highest earning films of the year in the US and global markets respectively. But for a film with a $209 million budget and high hopes, this was a disappointment to Warner Bros.
Warner Bros. had always planned a sequel to Superman Returns (Superman Returns Again? Superman Stays?) using the same team, and even announced a release date of mid-2009. However, after seeing the returns on the film, the studio had doubts. The expectations of Singer, Routh and the other main players were that the sequel would go ahead. Dougherty and Harris had begun developing the screenplay, and Singer dropped out of directing a remake of Logan’s Run, a project he had wanted to undertake for some time. Ultimately, however, Warner Bros. pulled the plug. Man of Steel: The last chance? The superhero movie has never been more lucrative. The Dark Knight trilogy of Batman films shattered all kinds of box office records, with last year’s Avengers shattering them again. If ever there was a time for Superman to make a successful return to the silver screen, it is now. And Warner Bros. know it. The influence of the past mistakes of the franchise, as well as present successes in the market, can be seen all over the development of the project. Whether this is a sensible case of learning from past mistakes or an overly cautious approach that will hamstring the film remains to be seen. 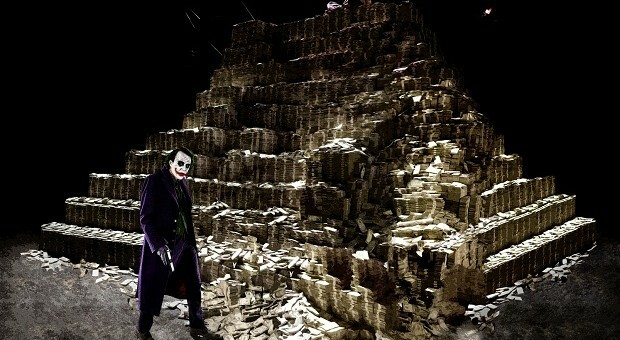 This is approximately the amount of money The Dark Knight earned in its first weekend. Seeking a full reboot of the franchise with no connections to any films of the past (as was the case in Superman Returns), Warner Bros. invited some of America’s best creative in 2008, including writers from the comic book industry, to pitch ideas about how to revive Superman’s film legacy. The response was enthusiastic, with universal agreement that it could be done, and that audiences would be willing to forgive any past sins. It gave the studio hope, although they couldn’t find a story that they could settle on. Unrelated to Warner Bros.’ search, David S. Goyer (writer of both the Dark Knight and Blade trilogies) had been toying with an idea for a Superman story out of his own interest. He brought up his idea with director Christopher Nolan when they were developing the story for The Dark Knight Rises in 2010. Nolan liked the idea and pitched it to Warner Bros. Warner Bros. liked the idea too, and no doubt liked even more the idea of working with the team who had produced The Dark Knight. The studio promptly hired Nolan and Goyer to develop the story. Goyer and Nolan wanted to do the same thing with Superman as they did with Batman – sever all ties to the previous incarnations and start fresh. This meant that Bryan Singer, who was already unimpressed that the studio didn’t consider his film a success, was not considered to stay on. Neither was Brandon Routh. Goyer first asked Guillermo del Toro, with whom he worked on Blade II, to direct, but del Toro was unavailable. Ben Affleck, Robert Zemeckis, Darren Aronofsky and others were approached, but eventually Zack Snyder (Watchmen, 300) was signed, at which point Nolan removed himself from the project to focus on The Dark Knight Rises and allow Snyder full control of the film. To find his Man of Steel, Snyder avoided the large scale screen call that went out for Superman and Superman Returns, instead approaching actors he was interested in. As a result, he found his Superman relatively quickly. Interestingly, the actor he chose had unsuccessfully auditioned for the role in Superman Returns. Not only that, he narrowly missed out on being cast as the Caped Crusader in Batman Begins and was on the short list to play 007 in Casino Royale. 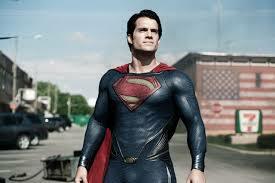 This time, however, Henry Cavill would not miss out, becoming the first non-American to ever play Superman on screen. Also of interest, the actress who won the role of Lois Lane had previously auditioned for the part for Superman Returns and the failed Superman: Fly-By when it was under the helm of Brett Ratner. For Amy Adams, third time was a charm, as she beat out the likes of Mila Kunis, Olivia Wilde, Natalie Portman, Rachel McAdams and Jessica Biel for the opportunity to play Superman’s love interest. Other stars signed on to the project – Kevin Costner, Dianne Lane, Laurence Fishburne, and Russell Crowe as Jor-El – giving the film an ensemble cast to compete with the Dark Knight trilogy. The casting isn’t the only parallel between Man of Steel and its successful DC film counterpart. Of course there is Nolan and Goyer’s involvement, as well as that of composer Hans Zimmer, but also subtler equivalencies such as a British actor in the protagonist role and even the fact that Man of Steel and The Dark Knight are the first films about Batman and Superman respectively to not mention the superheroes’ names in the title. It is, however, the promise of another similarity between the franchises that fans are reserving their judgment on, and upon which the success of Man of Steel will ultimately rest. Will this be it for Superman on film, or the long awaited beginning of a franchise the fans have always wanted? The marketing campaign has consistently given the same message about this second Superman reboot in under a decade: this time it will be grittier, more realistic, more down to Earth. This is a new approach for this son of Krypton, as the focus has always been on his otherworldly abilities, not his acceptance in a frequently intolerable world. Warner Bros. hopes that this is the formula to finally give Superman the platform from which he can soar to new heights. From the trailers and interviews given prior to its release, there is one other aspect to Man of Steel that has been hinted at and, if true, will indicate a new direction for Superman on film. Such a factor is one that has not been borrowed from the Dark Knight trilogy, but the other comic book adaptation that has raised the bar for action blockbusters – The Avengers. 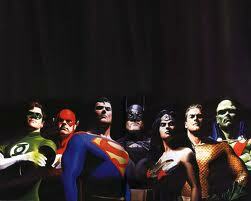 Snyder has hinted that Man of Steel will make reference to other superheroes and a broader DC universe. Could this be the first step in setting up an Avengers like collaboration between DC heroes? The idea of a Justice League of America movie has been floated about Hollywood before, but with The Avengers grossing over $1.5 billion worldwide, the idea must seem more enticing than ever. With the Dark Knight series having concluded the DC slate is clean, allowing the stage to be set for a DC super team to hit the big screen. Of course before any of that the first – and most crucial – milestone must be met: Man of Steel must deliver on the promise that America’s favourite hero has always held, and captivate audiences like never before. Anything less will be a failure. The story of Superman on film has in many ways been a reflection of the stories they have depicted on screen. Superman depicted a new hero, the likes of which had never been seen before. The film – and its protagonist – had challenges along the way, but ultimately captivated the world and was all but universally loved. By the time Superman III hit cinemas, the on screen action was a farce, which reflected the off screen production and the box office results. It was only to be outdone by Superman IV: The Quest for Peace, a weak and distilled facsimile of its predecessors depicting a poorer clone of Kal-El. And Superman Returns showed our hero returning after a prolonged absence, but couldn’t soar. Fittingly, Man of Steel wrests with Superman’s battle to fit in, to be accepted. Like Jor-El sending his only child across space to survive, all that Warner Bros. asks is for their creation to be accepted and thrive. Whilst the fate of the world doesn’t rest upon it, the fate of Superman on film surely does.